Hello, I am Thee Forsaken One (aka TFO or Forsaken or Thee). I was asked to be the Director and Lead Writer for The Stargazers after the early initial brainstorming from Tao and Colleen. I’m really excited for people to get the chance to know the characters and also to see the story and setting from three different perspectives. There’s a lot in The Stargazers universe to see and allowing you to see it through the eyes of different people gives you a chance to see much more than you would with just one protagonist. I hope you enjoy The Stargazers. There is a whole universe to explore and my ambition is to give you that chance in the future. Hi, I’m Taosym. Lead Artist and Director of Studio Lupiesoft. 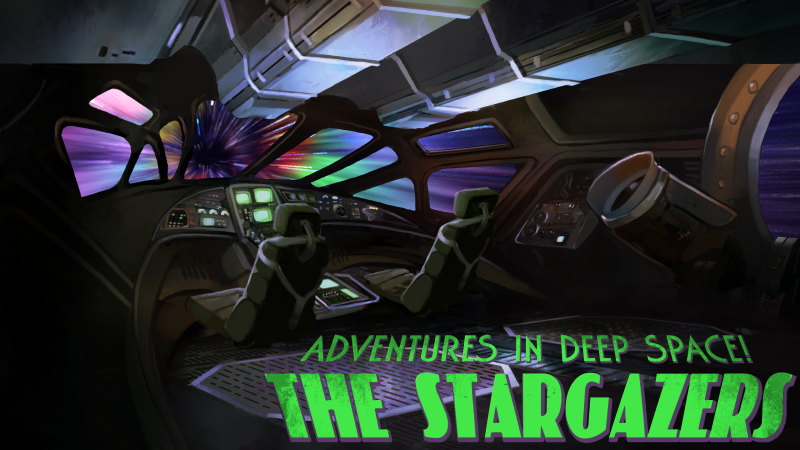 I did all of the artwork shown in The Stargazers, though I am most proud of the sci-fi elements that I got to create, from the spaceships to the mecha. Every game is a unique challenge but this is something I had never done before, and I was able to think about design in a completely different way from our previous titles. 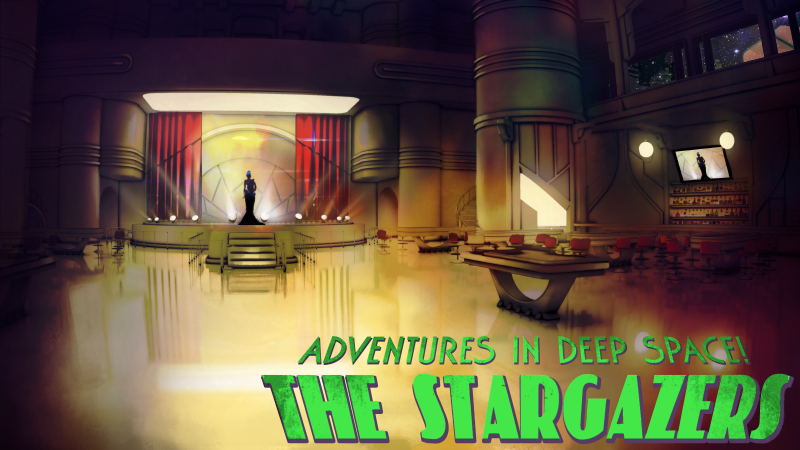 My favorite aspect is the design of The Stargazers universe, it has a very retro, very atompunk sort of feel to it that I adore. Strongly inspired by the 50s and the 80s scifi, things like Flash Gordon and The Thunderbirds. When The Stargazers releases November 4th, I’d like you to take a look at the quirky world we’ve put together for you, one of yuri, mecha, and romance, Enjoy! Hey, Colleen here! I hope you are all excited for The Stargazers! What’s my favorite part? Forsaken already touched on the perspective system, which is amazing. Let me bring up the secondary part of that kind of storytelling then: choices you make in one route will be reflected when you play the game again. If Vii orders an omelet for breakfast, both Temperance and Risty will see that same omelet when you play the scene from their eyes. That’s just the most obvious example, and the more you play the more subtle changes you’ll see shared between the characters. Hi! I’m Mink, a writer for Lupiesoft. While I wasn’t a part of The Stargazers specifically, I love how I can tell Tao’s art has advanced, and the designs for the characters, and mecha. I look forward to, and hope all players enjoy what everyone created! Hey, I’m Skow. I’m usually on hand for Lupiesoft’s other projects. In the case of The Stargazers, I was around for a lot of its concept construction. You know, throwing ideas at the wall, seeing what sticks, advice, etc. Sadly, I was away a decently long while. Imagine my surprise when I come back and I get to see all of those concepts all fleshed (and floof’d) out! It’s utterly cool, and retro-sci-fi gets a decent day in the sun. Also I love Joanna, I want her to be my charming pupper-sloot wife. « Dharker Studio’s Negligee now on sale! Having watched a lot of older pulp science fiction (hate to admit it, but when it was still airing) I really got into the retro/Metropolis feel of the art. Good work so far, keep it up team!